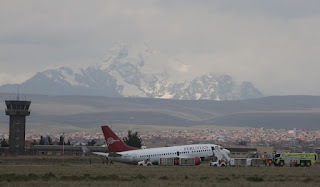 An investigation is underway into why a Boeing 737 carrying 127 people skidded and fell on its side on a runway at El Alto airport, west of the capital La Paz, in Bolivia on Thursday, November 22nd. 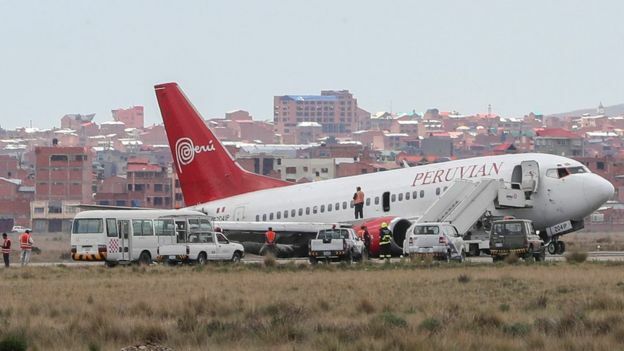 The Peruvian Airlines 737 was performing a flight from Cuzco and came into land in El Alto at 1000 local time when the aircraft skidded and the landing gear appears to have collapsed. 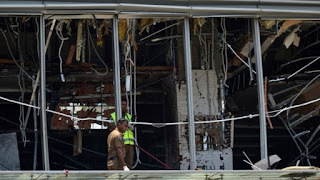 According to officials, none of the 122 passengers or 5 crew was injured during the incident which caused the airport to close for a number of hours. 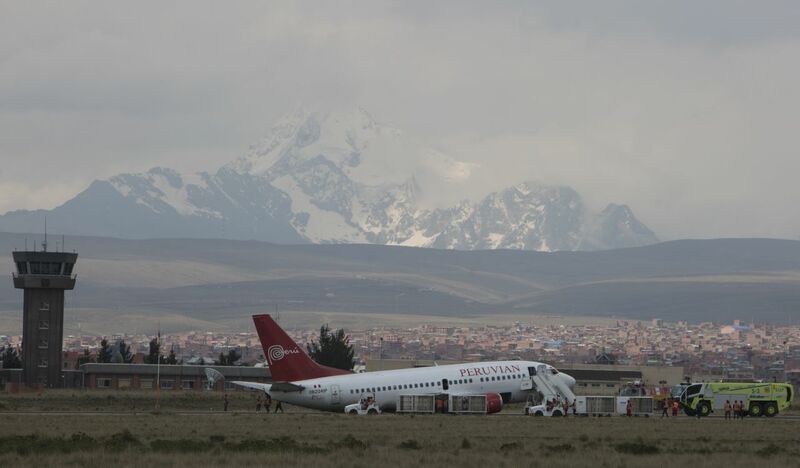 The airline and Peruvian officials have confirmed an investigation is underway.